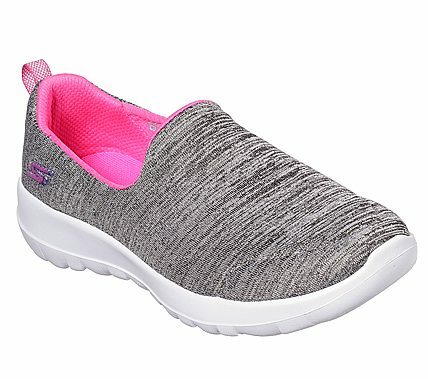 She'll be sure to love the easy slip on sporty style and long-lasting walking comfort of the Skechers GOwalk Joy - Enchant shoe. Features an advanced heathered finish fabric upper with new Skechers Goga Max® insole for the most advanced walking experience ever. Bungee stretch laced design.